Caviar Emporium is located in beautiful Hunterdon County near the Delaware River. When writing about the history of caviar in America, we must go back over 100 years to this same location. During the late 1800’s, American Sturgeons was being fished from the Delaware and Hudson Rivers. Caviar was offered for free when ordering drinks in saloons. Eating caviar increased beverage sales. Caviar was a byproduct of the Sturgeon meat which was sold for a premium. At that time, caviar was exported to Europe for as low as $1.00/lb. Henry Schacht was famous for exporting caviar to Europe eventually the US was the largest exporter of caviar in the world. Much of the American Caviars was exported to Europe where many mislabeled it as authentic Russian Caviar demanding a much higher price. In fact some of the mislabeled American Caviar was imported back to the USA as Russian Caviar. Caviar from the rivers of Russia had always been sold at a premium. In 1900, the state of Pennsylvania issued a report estimating that 90 percent of the Russian caviar sold in Europe actually came from the US. In the early 1900’s sturgeon in America became endangered. They were over-fished and the industrial revolution development began blocking and damming key routes historically used for spawning grounds. The rivers also became polluted with industrial waste. Over time the supply decreased and the price of caviar began to rise significantly. 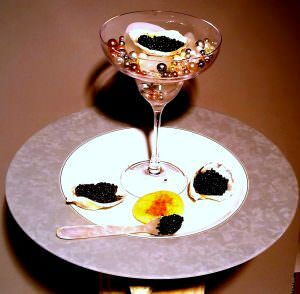 Thus Sturgeon Caviar became a food item only affordable to the rich and famous. At that time American Fisheries began to market roes from other fish species then Sturgeon. The Romanoff Caviar Company operated along the Delaware River close to Philadelphia. They were successful in the marketing of red salmon caviar, lumpfish, and whitefish caviar as more affordable alternatives to sturgeon caviar. Today the only 2 Native American Sturgeons sold commercially are The Hackleback Sturgeon, the only sturgeon caught in the wild, in the Mississippi, Tennessee, and Missouri river basins and The White Sturgeon, which can only be sold commercially when farm raised. Many Other fish Species roe are harvested and sold commercially today. Roe from Paddlefish, Salmon, Whitefish, Trout, & Bowfin have become common. We are also starting to see roes from Sea Urchin, Shad, and Lobster sold commercially. Sturgeon Fish Farming has emerged a viable aqua cultural product. Extremely large and technologically advanced Sturgeon Farms have been successfully marketing Sturgeon Meat and Roe. TODAY:The Grand Sturgeons from the Caspian Sea basin are being exported and raised in these large fish farms in The USA and abroad. Answer: Caviar is fish roe or eggs, sieved to remove fatty tissues and membrane, and lightly salted with non-iodized salt. This is an old preserving and curing method that is still effective today. caviar comes from the sturgeon and the sturgeon alone. The sturgeon is a saltwater anadromous fish (meaning it moves to freshwater to spawn), which makes its home in the Black and Caspian Seas between Europe and Asia, and also the Pacific Northwest and Southern Atlantic coasts of the United States. The sturgeon can grow to over 3,000 pounds, but usually averages about 60 pounds. The flesh of the fish, as well as its prized eggs, is quite delicious. 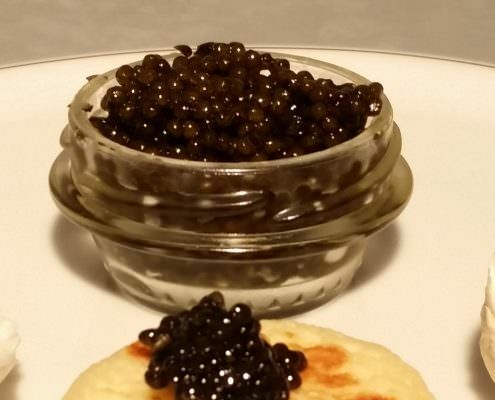 The most prized caviar comes from the beluga, osetra, and sevruga varieties of sturgeon. Nowadays you will also find caviar from other fish varieties, including salmon, lumpfish and tuna, as well as in different forms.